Bazooka Bass Tubes enclosures are optimized for corner loading. The Bass Tubes enclosure's port and woofer are on the same plane and in close proximity for maximum corner-loading results. 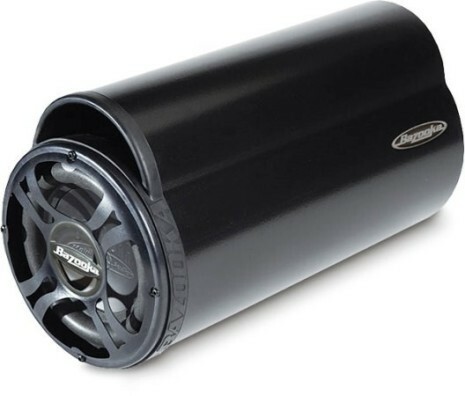 And, just like a megaphone amplifies a cheerleader's voice, the corner of your car amplifies the concentrated bass output of the Bass Tubes enclosure. 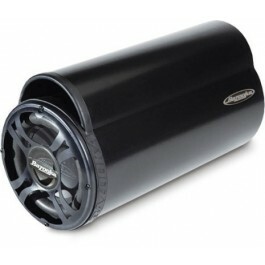 The Bass Tubes enclosure's advantage is it fits any vehicle — the perfect fit for a perfect sound. The 8024DVC is great behind the seats of full-size pickups, or in the trunks of sedans or coupes or hatchbacks. 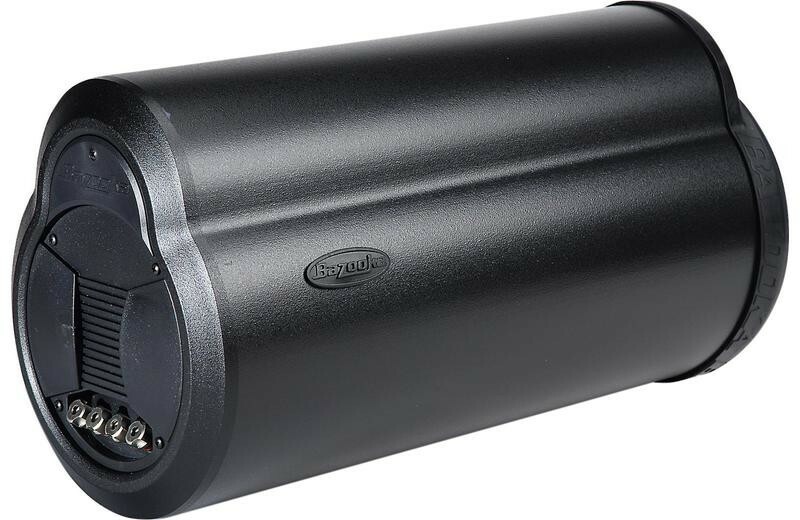 If you're a person who changes vehicles frequently, you'll appreciate being able to use this versatile piece in many cars for years to come.150 watts gets this sub pumping, thanks to the super efficient Bass Tubes Enclosure. Which means you don't have to break the bank finding a huge amp to drive it with. Also a great contender for multi-channel setups, this would be a great sub to use with a 4 channel amplifier to setup a great sounding, easy to install system.